Ahead of their first trip to the UK next month for C2C Festival, platinum-selling breakthrough band LANCO claim the No. 1 spot on Billboard’s Top Country Albums chart this week with ‘Hallelujah Nights’, marking the first Country band to open at No. 1 with a debut album since Lady Antebellum in 2008. Featuring their two-week No. 1 hit “Greatest Love Story” and their new single “Born To Love You” the “collection puts an anthemic spin on young love and small-town life” (The Tennessean) and has dominated the top of the iTunes Country chart since its release, including going straight to the #1 spot on the UK & Ireland’s iTunes country charts, with growing support from radio stations and shows across the country. Following performances on The Ellen Degeneres Show, the TODAY Show and Jimmy Kimmel Live!, the “arena-rock leaning band” (Entertainment Weekly) brought their “twangy rock with blistering guitars and chugging rhythms” (Nashville Scene) to capacity crowds this past weekend NYC, New Jersey, Baltimore and Columbus, Ohio. LANCO “has given fans what they’ve been waiting for” (Pop Culture) and critics continue to champion ‘Hallelujah Nights’, which features 11 tracks co-written by the band’s lead singer and namesake, Brandon Lancaster. Rooted in the southern storytelling of Country music with the modern punch of rock & roll, ‘Hallelujah Nights’ (Arista Nashville/Sony Nashville UK) is LANCO’s coming-of-age debut album. They are now the only Country band to achieve a platinum single prior to a debut album release, with the two week No.1 “Greatest Love Story.” LANCO’s story begins in the small towns where all five bandmates — Lancaster, bassist Chandler Baldwin, multi-instrumentalist Jared Hampton, drummer Tripp Howell and lead guitarist Eric Steedly — were raised. After they crossed paths in Nashville during their early 20s, LANCO bonded over that shared southern adolescence, while hoping to build a new life in a bigger city. “Few bands have have generated as much buzz as LANCO” (Pop Culture) as their self-titled debut EP, has gained more than 100 million streams. Named “the band to watch” by Bobby Bones, CMT, Entertainment Weekly, Hits Magazine, Pandora, Rolling Stone, Spotify, SIRUIS XM and more, LANCO gained their status from touring the USA’s top festivals such as Bonnaroo, Lollapalooza, Austin City Limits, Watershed, Faster Horses and more. 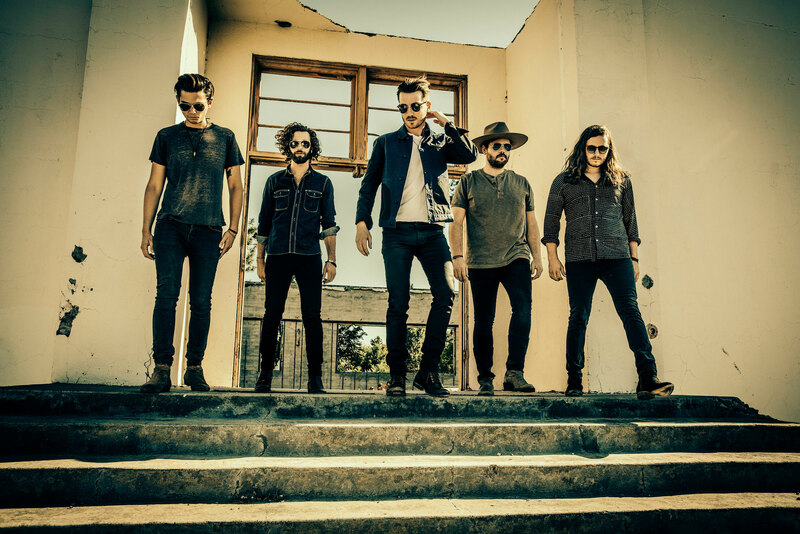 “Trying to make it in Nashville is no easy feat, but a little determination helped LANCO go from toiling away in bars to opening for Dierks Bentley,” (Associated Press) as they will serve as direct support on his 2018 MOUNTAIN HIGH TOUR launching in May. Before then, they head overseas to the UK for the first time, to play London’s Country to Country (C2C) Festival in March. For more information on LANCO and upcoming tour dates, visit http://www.LANCOMusic.com.